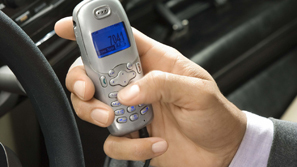 The widespread use of cell phones is a major reason there are more and more car accidents on our roadways each year. When a driver is talking on a cell phone or texting while driving, they lose focus on the most important task at hand. One second is all it takes for a driver to be distracted and cause an accident. At The Law Offices of Frank L. Branson, we protect the rights of car accident victims who have been injured because someone was texting while driving or talking on a cell phone instead of paying attention to the road. Studies show that people who use cell phones when driving are more likely to cause an accident than an intoxicated driver. Many cell phone car accidents are caused by younger drivers, whose inexperience behind the wheel is only made worse when they try to drive while using a cell phone. Our experienced attorneys are dedicated to helping victims of cell phone accidents and making our highways safer. To learn more about our experience in cell phone accident and injury matters, we invite you to contact the firm here.